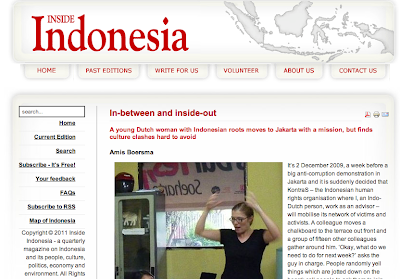 Even though I am not in Indonesia any more (and no longer in-between and inside out), I wanted to do some self-promotion here and direct you to an article I wrote not too long a go for a great online magazine about Indonesia called Inside Indonesia. All the experts on Indonesia are represented there, so I feel especially honored that my article was published. Let me know what you think of it! Click here to read it. 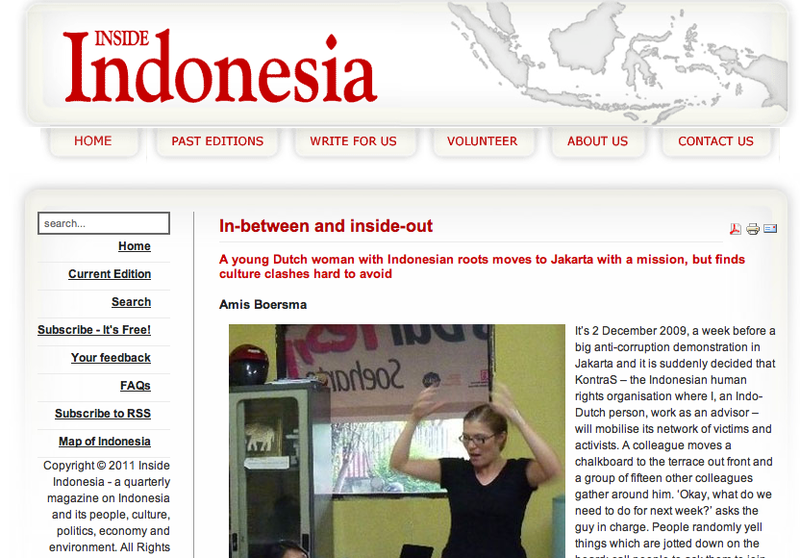 Do also browse their website if you're interested to learn more about Indonesia. Their latest series is about the rich in Indonesia - that's bound to be a fascinating read!